Wax can be applied after this for superior shine and ongoing protection. We also offer Ceramic Pro coating for long lasting defense. Windows, handles, rubber parts and trim are addressed last with our intensive attention to detail. Because of the differences in car fabric interiors, auto detailing can differ depending on your interior type. 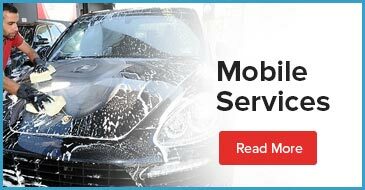 To ensure the best clean for your car that is also good for the environment, we use water-saving steam cleaning. To learn more about all of our services, packages and customizable options, contact us at 647-920-5199.